Oil on canvas. 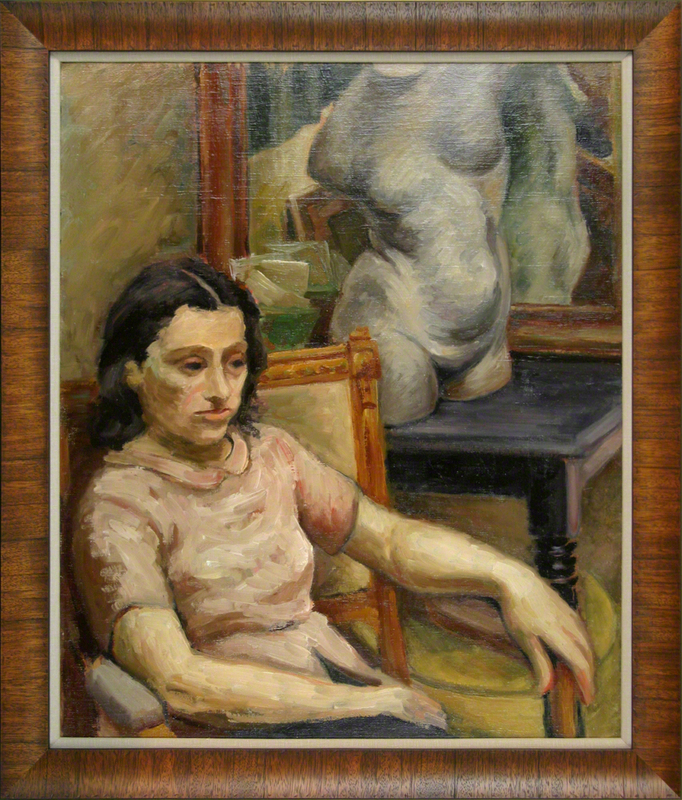 Portrait of the artist's wife. Note: The torso before the mirror was sculpted by Mącznik's brother, Ben/Bendet/Beniek Moncznik (later, in the U.S.A., Munn). Moncznik resided with Mącznik in Paris approximately 1936–1938. Today, Moncznik is nearly unknown as a member of the École de Paris.